Boise, Idaho: Kordata, today announced the new release of Kordata FastStart MTI TM for Material Testing and Inspection for the construction industry. FastStart MTI is a powerful end-to-end solution that includes highly flexible, intelligent mobile data collection capabilities for field staff, office staff, management, and labs, along with automated, customized reports to meet the needs of clients and the industry. Kordata’s FastStart for MTI ensures that inspection and testing agencies, and their labs, can easily collect and report data for their projects accurately while significantly reducing construction delays waiting on results and the cost of redundant data entry. Project managers, lab managers, and administrative staff also benefit from Kordata’s FastStart MTI by getting a holistic to granular view of projects, staff, and testing results quickly so they can mitigate delays and get reports out to their clients quickly. With Kordata’s dashboard, project managers can get in-depth visibility to staff and lab progress and mitigate risks preventing delays. Chain of custody, approval processes and reporting can be customized to meet their specific workflow to minimize errors and increase agency and client visibility into projects. About Kordata: Kordata is the leading platform for intelligent and secure mobile forms and flexible data collection workflow. 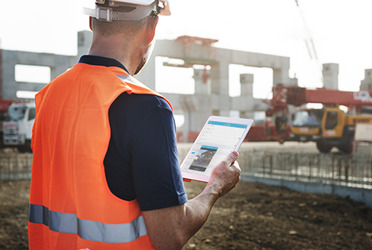 Their patent pending mobile solution allows for the rapid deployment of complex forms for inspections, material testing, assessments, training, surveys, asset management and tracking, equipment maintenance, healthcare records and case management. Kordata excels in helping companies deliver solutions quickly without significant investment, translating into better user experience, increased adoption, and substantial ROI. Companies of all sizes trust Kordata with their data collection needs. For more information, visit www.kordata.com.